VANCOUVER — Uplifting. Upbeat. Real. 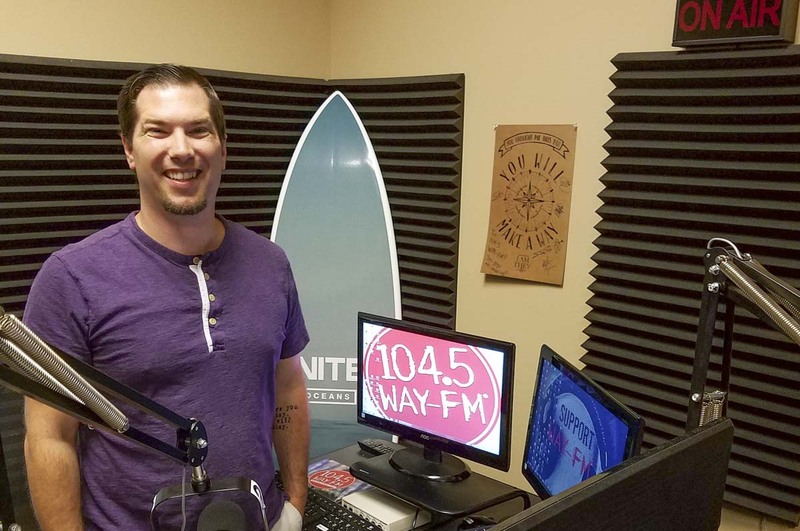 That is how 104.5 WAY-FM describes itself, ministering to listeners in the Vancouver-Portland area with Christian music. Starting next week, there will be a face to go with the station and its philosophy. Everyone, make way for Dot the Mascot. 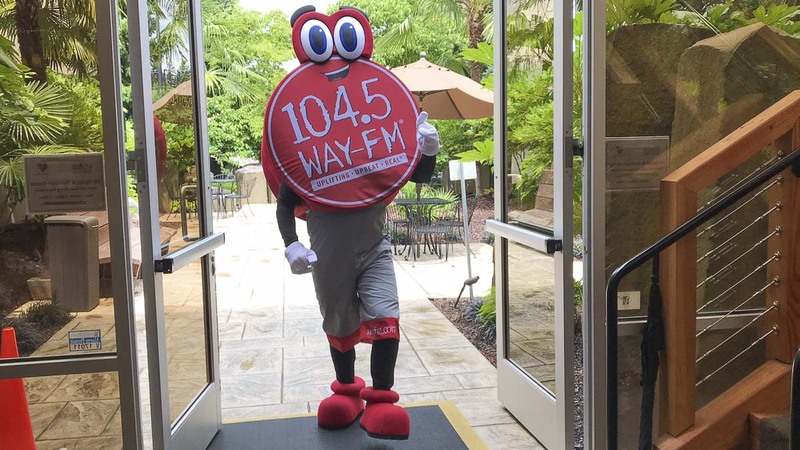 “Bringing our logo to life,” said Paul Van Sickle, the operations director for 104.5, introducing the newest member of the team. Dot the Mascot will debut publicly at the Washington County Fair next week in Hillsboro during Faith Night. ClarkCountyToday.com got a look at Dot the Mascot recently and can confirm that Dot is, indeed, uplifting. She is upbeat, too. And yes, very real. She also always seems to have a smile on her face. WAY-FM began in 1987 in Florida and has since grown to dozens of cities throughout the country. WAY-FM had stations in Longview, Kelso, and Astoria in the Northwest in the early 2000s before those stations were sold. Years later, WAY-FM was back on the air in the region thanks to a friend of the ministry and a radio frequency for the Vancouver-Portland metro area. Cochran said God brought those two together — the friend and the frequency. From there, 104.5 went on the air in 2011. Its studio and offices are in east Vancouver, with the signal carrying south to the Salem area and as far north as Kalama. WAY-FM wants to meet people wherever they are in their faith. It does not matter if a listener is a new believer in Jesus, or not yet a believer, or someone who has walked with Jesus for 30, 40 years. The hope is that listeners will be able to relate to WAY-FM’s on-air personalities because of their sincerity. While many of the shows on 104.5 are produced in other cities, there are several breaks throughout the day with local updates. Van Sickle, in fact, noted the current peanut butter and jelly drive, a partnership with the Clark County Food Bank in Southwest Washington and SnoCap in Oregon. In the winter, instead of Keep Portland Weird, 104.5 holds a Keep Portland Warm drive, collecting blankets. In both drives, it is local leaders of WAY-FM who mobilize area listeners to give. Van Sickle also produces a show that is carried nationally on Sundays from 3 to 6 p.m. It is a mix of music and him sharing his stories from life as a dad. “Things that are happening that I think can be relatable to what people are going through,” he said. The WAY-FM is here for the long term, too. “We want to continue to grow and spread the word,” Van Sickle said. “We want to continue to provide the upbeat, uplifting music to the Vancouver-Portland metro area and be involved in the community. 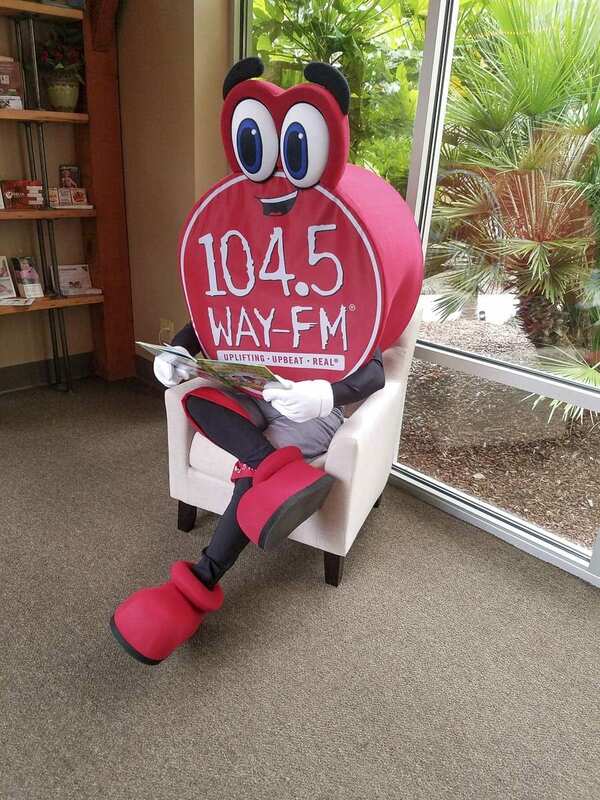 If Dot the Mascot can attract a few eyes at public outings, perhaps that will attract more ears to the Vancouver-based radio station and ministry. The national programs, the local station, the on-air talent, those behind the scenes, and now Dot the Mascot — they are all on the same team.